Every year I make adjustments to my training. I do this to see if I can make improvements, or make running even more enjoyable. This is a list of the recent things I've changed to help my training, and overall health. I've listed them here with the reasons for the change. Strengthens the hips and makes you more likely to walk around more. I work at a desk all day near a data center. When my fitness tracker, the Garmin Fenix 3, tell me I've been standing still for too long I take a quick stroll around the data center. Running tends to make your body tight and decrease range of motion. Yoga helps correct some of the muscle imbalances and improve range of motion. I just feel better when yoga is in my schedule. Works great for balance, which you need for running, since that's what running is. The act of balancing over and over again on one foot. This one is tough, twice I've had pain in my calf during a race by from zero drop shoes. I've now decided to never race without heal support. I need more time to adjust to the lack of support, since I've had heal support my entire life. I do believe that you should vary your shoe selection and stimulate the muscles in your foot in different ways. I've also changed my daily sneakers to a very flat, zero drop shoe. This helped correct a foot pain I've had for years. I'm trying to increase fat burning enzymes and lower inflammation in my body. 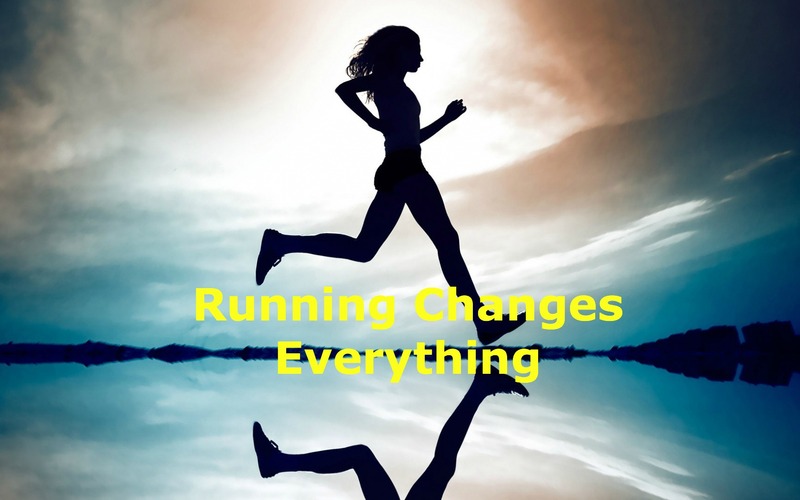 Running at a lower HR decrease stress, which also decreases inflammation. By changing your diet you also teach your body to better use fat as fuel. The less you eat grain carbs, the more fat burning enzymes you will create. The body is meant to burn fat as fuel. If you do this you will run faster, farther, and with less effort than before. This one is HUGE. I can go on and on about how much I love this type of training. I have less stress, recover faster, feel better, and just enjoy training more. See Phil Maffetone's 180 Formula to calculate the HR you should run at. This will take 3 months for your aerobic system to adapt. I really hate weight training, but I know it's important. I use a kettle bell to do a few quick exercises throughout the day instead of dedicated weight training. See Phil Maffetone's slow weights article. Long run on Saturday, and a second effort on Sunday normally in the afternoon for heat acclimation. This gets you used to running on tired legs, and running when you are uncomfortable. You need to be VERY careful with this cause it is easy to get injured if you increase mileage too quick. 100 meters at 95% effort. 1 Minute recover x5 or as many as I fit in. This is to get my body ready for speed, and to increases leg turn over. This is helpful for being able to run faster on race day. Works again on leg turn over. Forces you to run at a faster cadence. GenuCan or Vitargo for my new pre-race meal. I may still take sugars on the run, but this leaves the gut faster and gets to muscles quicker. Still need to take an electrolyte and water during the run. This is such a good fuel source cause it doesn't spike your insulin and provides a nice steady burn of fuel. Your diet needs to be similar to this as well, so don't make this change until you are less carb dependent. I forget what podcast I heard this on, but when you wake up in the morning take an immediate inventory of your body. Are you very stiff or sore? Do things ache really bad? Guess what. You might be over training. That's not how your body is supposed to feel when you wake up. You might need to take a few more easy days, or slow down the pace. Maybe your not getting enough sleep or have too much other stress in your life. If you don't feel near 100% when you wake up you need to take the day off or run very easy. Trust me, you will not decondition. If anything you will make yourself stronger/faster. The benefit from a workout comes in the recovery, not the workout itself.